Cathy J. Cohen is the David and Mary Winton Green Professor of Political Science at the University of Chicago. 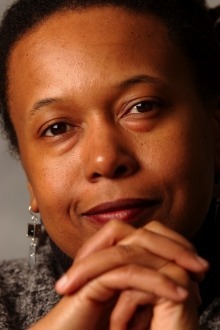 Previously she served as the Deputy Provost for Graduate Education and the Director of the Center for the Study of Race, Politics and Culture at the University of Chicago. She has published two books and numerous academic articles, and her research has been cited in media outlets including The New York Times, The Washington Post, NPR and CNN. Cohen has served as an active member in numerous organizations such as the Black Radical Congress, African-American Women in Defense of Ourselves, and Ella’s Daughters. Currently, she serves on the boards of the Arcus Foundation, Chicago Votes, and the University of Chicago Charter Schools.